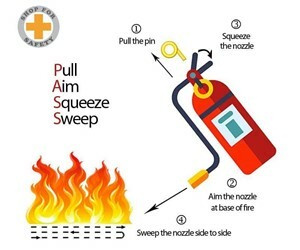 A simple infographic showing how to easily use a Fire Extinguisher. PASS. Pull, Aim, Squeeze and Sweep.